How Soon? 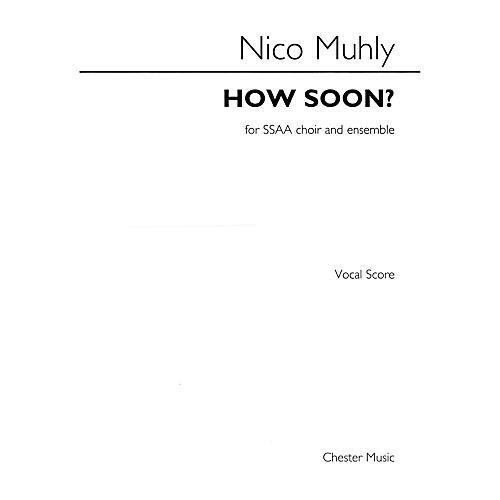 is a work by Nico Muhly for SSAA choir and ensemble. Commissioned by eighth blackbird, the Kennesaw State University School of Music, and the Anima-Young Singers of Greater Chicago, the piece is a setting of George Herbert's poem Mortification and lasts around 10 minutes.